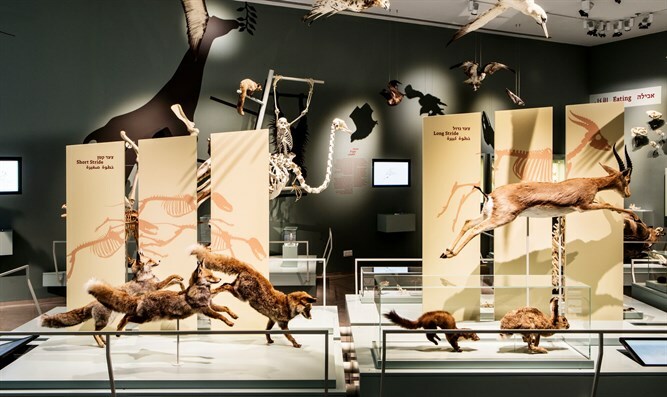 Steinhardt Museum of Natural History at Tel Aviv University will open its doors to the public for a trial period in the coming weeks. The Steinhardt Museum of Natural History at Tel Aviv University, located in a unique building that resembles a treasure chest, will open its doors to the general public for a trial period in the coming weeks. The museum presents Israel’s national treasures of nature, selected from a scientific collection of five and a half million items. In its exhibitions you will see thousands of items gathered through the years, in rare exhibits and displays that tell the story of the natural world around us. The mission of the Steinhardt Museum of Natural History at Tel Aviv University is to inspire acquisition of knowledge, to promote understanding, and to reinforce our bonds with nature and our place within it – for the benefit of future generations. The museum reveals scientific knowledge from research taking place within the museum itself and unique perspectives in an experiential, multi-sensory and enjoyable way, creating a special closeness and interaction with nature that cannot be experienced anywhere else. The museum “took a while to get off the ground but it’s a huge project and it needed to be developed in all aspects,” explained Prof. Tamar Dayan, the chair of the museum, in a conversation with Arutz Sheva.